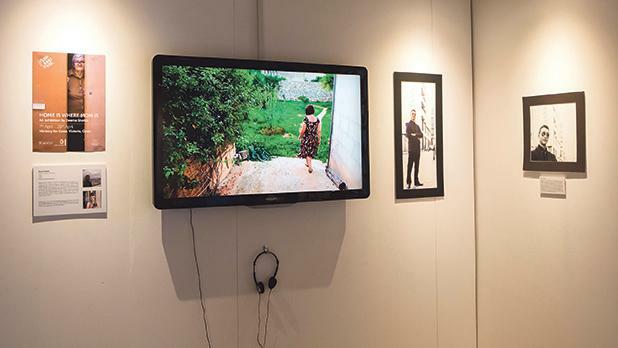 Disappearing or lost aspects of Gozo and migration are among the themes portrayed in an exhibition documenting an international programme of artists’ residencies based in Għarb between 2016 and 2018. 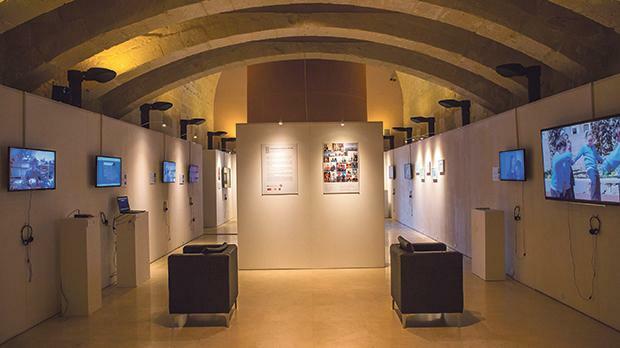 Titled Not Just the City, the exhibition running at Spazju Kreattiv, the national centre for creativity in Valletta, features samples of 10 of the strongest and most diverse projects undertaken during the two-year period. In all, 38 artists from Germany, the US, Egypt, France, Canada, Israel, Pakistan, Switzerland, Greece, Australia and Jordan, among other countries, took part in the programme, as jointly set up by Fondazzjoni Kreattività and the Valletta 2018 Foundation. 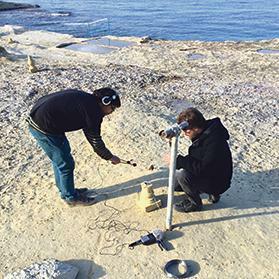 “The Artists’ Residency (AiR) programme was born out of a will to bring international artists to Malta, to see artists and communities working together and to add to the creative scene already present in Gozo,” Justin Galea, who coordinated and curated the exhibition together with Ann Laenen, the AiR coordinator for Valletta 2018, said. “Luckily, in Għarb we found not only the collaboration of the META Foundation [that runs Valletta Contemporary] which made a space available to the initiative but also the warm cooperation of various nearby local councils that contributed to many of the projects,” he added. Admitting the programme posed a series of challenges, especially due to the distance between Valletta and Gozo, both coordinators acknowledged the experience was very rewarding. “It was a nice, intense and rich experience and we had good feedback,” Ms Laenen said. One of the aims of the programme was to encourage productive interaction between the international and local creative artists and to involve members of the public. Samuel Coelho and Henrique Fernandes recording sounds for the residency Metamorphosis. 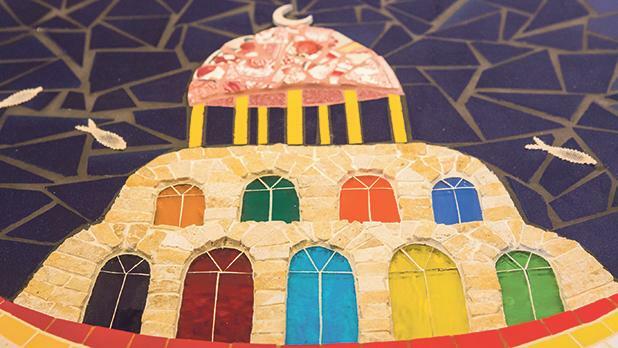 As a result, Pakistani miniature artist Rabia Akthar compiled stories from the crafts community in Gozo and created a poetic text out of them. Thanks to a collaboration with Mary Portelli, the stories ended up taking a visual form in a mosaic. As part of his project Triviality, German artist Philip Wozniak wrote a composition for the Għarb band club that was presented to the public in a concert and is now part of band’s repertoire. Having a diversity of art forms and themes was also important while selecting the artists for the residency project. “We had interventions, installations, film, music, visual arts, dance, etc,” Ms Laenen noted, pointing out that the outcomes were all very different. These include a video titled Under the Moon on the theme of migration by Nusquam Productions. The video was produced with the Għarb primary school. In Home is Where Mom Is, the artist, Deema Shahin of Jordan, came up with portraits of caring people or motherly figures. Another video, The Procession of Disappearance, produced by six artists, including director Stephanie Sant, documents a collective performance dealing with elements that are disappearing or have disappeared from Gozo, such as soil, unrecorded legends and landmarks. Even though the residency programme has ended, its legacy remains and similar projects are in the pipeline. “This year, Spazju Kreattiv will be producing six residency projects lasting three to four weeks, two in Gozo and four in Malta. 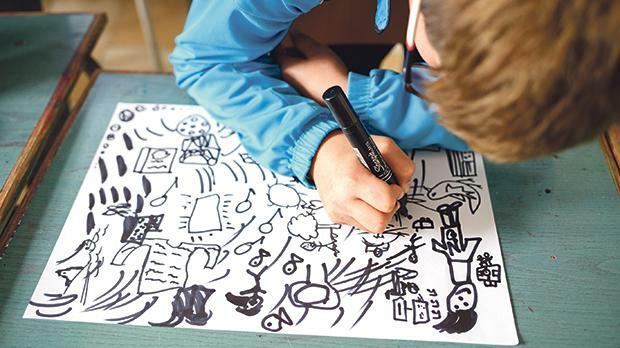 Two of the forthcoming programmes have a direct focus on teens and young people and are being produced in collaboration with Aġenzija Żgħażagħ,” Mr Galea announced. He added that the Artists Residency programme would continue this year and subsequently on a vein similar to that established by the V18 Foundation with the Valletta Design Cluster, along with other collaborative partners. It is envisioned that the first artists within this new structure will be visiting Malta after summer. All material and information about the three-year residency project that has just ended have been collected in a book to be released during the V18 Final Conference in mid-March. 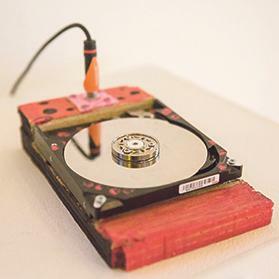 A public discussion on the artists’ residency programme, its impact and the legacy of a national artists’ residency initiative will be held on Tuesday at Studio B, Spazju Kreattiv, at 7pm. The event will kick off with a panel discussion chaired by Mr Galea and will include Spazju Kreattiv artistic director Toni Sant, Valletta Design Cluster manager Caldon Mercieca and Ms Laenen. The discussion will be followed by a tour of the exhibition, which runs until February 10. For more information, visit www.kreattivita.org and https://valletta2018.org . The exhibition space of Not Just the City at Spazju Kreattiv.